Since Texas is known for having many grooves to pass on, so it has developed a habit of spreading the wealth. Forth Worth, Dallas attracts both locals and out-of-towners with its "The Fastest and The Loudest" sporting facility, Texas Motor Speedway. Located in the northernmost portion of the U.S. city of Fort Worth, Texas, Texas Motor Speedway is the second-largest sports and entertainment facility in the United States. Over the years, the 1.5 miles round-Texas Motor Speedway has evolved into one of the key tracks on the NASCAR circuit. The top names in the racing world compete at the Speedway, where dual-bank turns allow for both NASCAR and IRL IndyCar racing. Since its inception in 1997, the Texas Motor Speedway has been managed by legendary racing promoter Eddie Gossage. Texas Motor Speedway has its track layout that is very similar to that of Atlanta Motor Speedway and Lowe's Motor Speedway (formerly Charlotte Motor Speedway) since it is owned by Speedway Motorsports, Inc. The 1?-mile tri-oval in Fort Worth can accommodate more than 200,000 fans. Unlike other speedways, Texas Motor Speedway is famous for the cowboy hats it gives to its winners, and for the fact that Jeff Gordon has never won here. The first race at the Speedway is the Samsung 500 held in April and it doesn't return until the Dickies 500 in Nov. 2. The Dickies 500 is the third-to-last race of the race season. The history of Texas Motor Speedway dates back to times, when two racetracks formerly on the Winston Cup (now Sprint Cup Series) schedule were closed and made room for Texas Motor Speedway. With qualifying speeds in excess of 192 mph and corner entry speeds over 200 mph, the Texas Motor Speedway was once considered the fastest non-restrictor plate track on the NASCAR circuit. Brian Vickers holds the qualifying record of posting a 196.235 mph speed at Texas Motor Speedway. At present, the Speedway is home to the two NASCAR Sprint Cup races: the Samsung 500 and the Dickies 500. The Texas Motor Speedway also plays host to two NASCAR Camping World Truck Series races, the Sam's Town 400 and the Chevy Silverado 250. Also, races like two Nationwide Series races, the O'Reilly 300 and the O'Reilly Challenge and the Indy Racing League IndyCar series race, and the Bombardier Learjet 550 call Texas Speedway their home. Jeff Burton, who won at Texas Motor Speedway in 1997, became the first repeat winner here with his victory in April 2007. Jeff Gordon's teammate Jimmie Johnson earned his first victory during his red-hot run to the title in 2007. The track has also earned Johnson, Dale Earnhardt Jr., Tony Stewart, Matt Kenseth, Mark Martin, Dale Jarrett and Carl Edwards winning titles. Race cars go round and round the track of Texas Motor Speedway, but that's not all the facility has for you! One of America's largest automobile racetracks also features nearly 80 residential condos that overlook the track, nearly 200 luxury suites, and an office and entertainment complex known as the Texas Motor Speedway Club. So come and feel the Experience! With the track measuring 1.5 miles around and is banked 24 degrees in the turn, it is not at all a famous bridge that we are talking about, rather its Texas Motor Speedway which is a super speedway located in the northernmost portion of the U.S. city of Fort Worth, Texas -- the portion located in Denton County, Texas. The track is owned by Speedway Motorsports, Inc., the same company that owns Atlanta and Lowe's Motor Speedways, as well as the short-track Bristol Motor Speedway. The track layout is very similar to Atlanta Motor Speedway and Lowe's Motor Speedway. It is of the quad-oval design, where the front straightaway juts outward slightly. With creative, colorful, fan-friendly approach to managing the track which has now become the standard by which all other tracks have been measured, it was none other than the inception by legendary racing promoter Eddie Gossage. He conceived the idea of the speedway and since then managed it as well. He was the first to introduce Personal Seat Licenses to the sport, as well as Season Tickets. His stance on allowing fans to bring their own coolers, even in the face of restrictive Texas laws that at one time prohibited the speedway from selling alcohol as a result, has made him a favorite of the fans. The average Texas Motor Speedway Tickets price will cost you between $10 and $83, if you are looking for the cheapest seats then catch the event being held at the Texas Motor Speedway, Fort Worth on 06/06/2019. The average ticket will cost you the highest on 08/06/2019 at the Texas Motor Speedway, Fort Worth. Minimum get in price is for Texas Motor Speedway Tickets is $5 for the event being held at the Texas Motor Speedway, Fort Worth on 06/06/2019 , there are some venues that have a much higher get in price, for instance the cheapest seats at the Texas Motor Speedway, Fort Worth on 01/11/2019 will set you back $36. 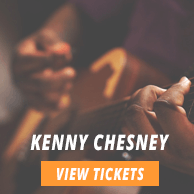 Do you have Texas Motor Speedway 2019 discount tickets, with you or should I check some other place? Texas Motor Speedway Tickets are very much with us just skim through our tickets page and hooray you will get what are looking for. Before i order tickets i would like to see the texas motor speedway seating chart. Is that possible? Yes it is. You can log on to our Texas Motor Speedway Tickets page and there you will find the option of viewing the seating chart. Do you email samsung 500 practice tickets to customers as well? Texas Motor Speedway Tickets with us are not emailed. We only mail our customers the tickets they asked for. How do i get the nascar nationwide series o reilly challenge fort worth tickets ASAP? To grab your choice of NASCAR NAtionwide Series Fort worth tickets visit Texas Motor Speedway page now! Im looking for cheap tickets for best seat atlanta motor speedway. No problem, Just go through our Texas Motor Speedway tickets to find what youre looking for. thanks. Do you sell any nascar camping world truck series oreilly 250 tickets? Of course! TicketLuck is the ultimate place to get your NASCAR Camping World Truck Series tickets. Can i get my tickets for texas motor speedway tickets canceld? Sorry you can not get your Texas Motor Speedway tickets canceled as all deals with us are final. Are there any delivery charges for texas speedway tickets? Delivery charges for Texas Motor Speedway Tickets are included in their price published online. What are the accepted forms of payment for texas motor speedway tickets? Texas Motor Speedway Tickets can be bought via a master, visa or American Express card. What is the method of availing discount codes for texas motor speedway from this site? 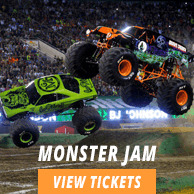 Texas Motor Speedway Tickets on codes can be obtained after logging on to our site. Do people own luxury suites at texas motor speedway? Please, contact our sales reps for information on Texas Motor Speedway Tickets. Where can i get some really innovative website design layouts for Texas Motor Speedway? Check out the website for Texas Motor Speedway for that.